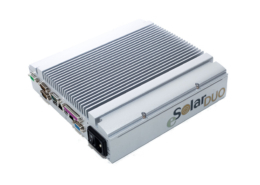 Integrated system for the management of energy efficiency and monitoring of photovoltaic systems up to 200 kWp prepared for CEI 0-21 / CEI 0-16 support. 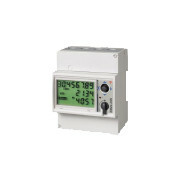 KNX compatible via external interface. Also available with integrated KNX port. 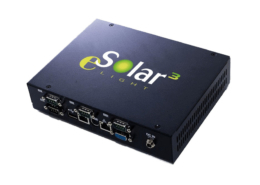 Integrated system for the management of energy efficiency and monitoring of photovoltaic systems with integrated home automation engine that uses the KNX communication protocol, prepared for CEI 0-21 / CEI 0-16 support. 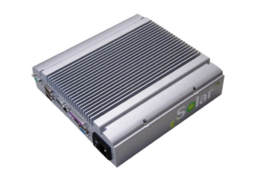 System for local or remote supervision of photovoltaic systems. 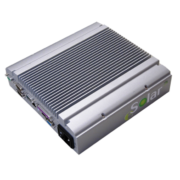 Able to manage plants up to 50kW for a maximum of 10 single-brand inverters. It does not support KNX technology. 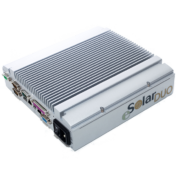 Advanced system for the supervision and management of local or remote maintenance of photovoltaic systems with integrated home automation engine that uses the KNX communication protocol, capable of supporting up to 10 meters and calculating the PR (according to EN 61724) at the detail of the single inverter. 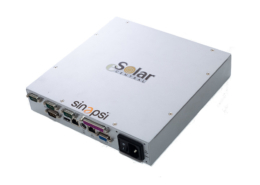 Advanced system for the supervision and management of local or remote maintenance of large photovoltaic systems/photovoltaic parks, with integrated home automation engine that uses the KNX communication protocol, support for meters/interface protections and PR calculation (according to standard EN 61724) to detail of the single inverter. Support up to 800 independent strings. 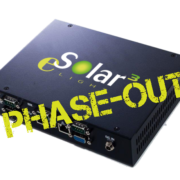 System for local or remote centralization of supervised PV parks with more eSolar (up to 10). It allows up to 10 eSolar to be connected in an intranet to guarantee supervision of large photovoltaic parks for data acquisition via Ethernet. 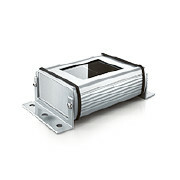 Supports outdoor LED display (SIN.EXTLEDx) via RS485. SINAPSI DATA SERVICE is the cloud service of SINAPSI, which is hosted. 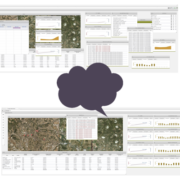 Designed for companies that deal with the operation and maintenance of plants, IT infrastructures, customers particularly attentive to the issue of monitoring. 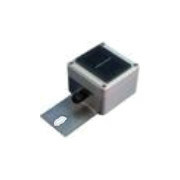 Digital irradiation sensor IP67 on silicon technology with RS485 port, 0..1400 W/mq, with cell temperature measurement, incl. 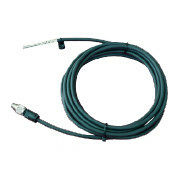 3m cable. Power supply: 12..48V DC. 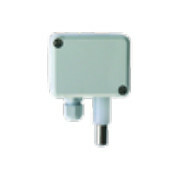 Wind speed sensor for connection to SIN.SENS4852TV, from 0 to 40 m / s, incl. wall bracket, 5 m cable and plug connectors (IP67). Measurement range: 0 – 1500 W / sqm. Calibration: Fraunhofer Institute for ISE solar energy systems encapsulation of measuring cell, weatherproof and UV-resistant plastic casing, screw fixing and back slot for cable ties. 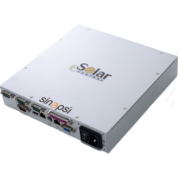 or SIN.2027 with SIN.CP-D966116 power supply. Sensor for inside and outside. Patch mounting. It is necessary to prepare KNX SIN.0047 kit. Complete with accessory for wall / pole installation. 230 V AC power supply. 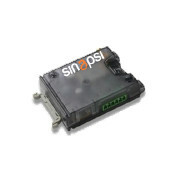 The KNX SIN.0047 kit and SIN.2077 analog input acquisition module must be prepared with SIN.CP-D966116 power supply. It includes a 160mA KNX power supply and 5m of KNX cable. It can be used, e.g., to resume relay trips. 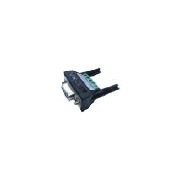 Switch actuator with 10A contact for DIN rail installation (eg module cleaning, module cooling, etc. ), 35mm overall dimensions. It is necessary to prepare KNX SIN.0047 kits. 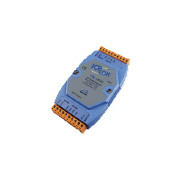 KNX 4ch Analog Input Acquisition Module. 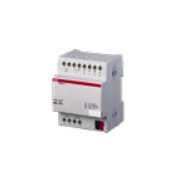 It can acquire data from four conventional sensors with signals of type: 0-1V, 0-5V, 0-10V, 1-10V, 0-20mA, 4-20mA, 0-1000ohm, Pt100, resistive inputs> 50kohm, resistive inputs 260 ohm. 24V DC power supply for external sensors. 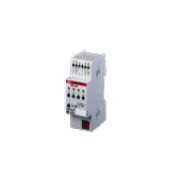 KNX 2ch Analog Input Acquisition Module. 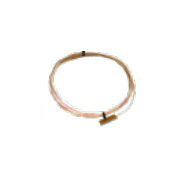 It can acquire data from four conventional sensors with signals of the following type: 0-1V, 0-5V, 0-10V, 1-10V, 0-20mA, 4-20mA, Pt100 (2 wires), Pt 1000 (2 wires). Web player thin-Client with HDMI output for uploading data from eSolar. Supports views on LCD screens with resolutions up to 1920×1440. Power supply and HDMI cable included. Outdoor LED display for displaying 3 photovoltaic system parameters (current power, total energy, avoided CO2), IP54, RS485 communication, amber yellow led. With customizable graphics, anti-glare screen, automatic brightness adjustment via twilight sensor, visibility 50 mt. Dimensions B. 1250 x H. 700 x D. 75 mm, height 100 mm, weight 18 kg. Complete with brackets for wall mounting. 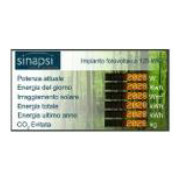 Indoor / outdoor LED display for visualization N ° 6 photovoltaic system parameters (Current power, Energy of the day, Radiation field, Total energy, Energy last year, CO2 avoided), RS485 communication, amber yellow led. With customizable graphics, anti-glare screen, automatic brightness adjustment via a twilight sensor, visibility up to 50 meters. Dimensions B. 2400 x H. 1350 x D. 75 mm, height 120 mm, weight 28 kg. Complete with brackets for wall mounting. 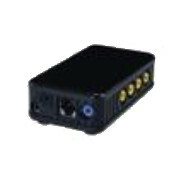 4-channel video server for analog cameras. 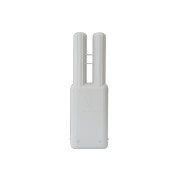 Ultra compact GSM/gprs modem that incorporates the latest generation of 2G wireless modules equipped with GSM baseband/GPRS Quad-Band, TCP/IP connectivity based on GPRS data transmission in class 10, and extremely low power consumption. The modem is compatible with the 595/2014/R/EEL resolution of the electricity authority (when ordering, check the type of meter to which the modem is to be connected for compatibility verification). HSPA + 3G compact router with wireless and high-speed Ethernet connections, internal HSPA + modem capable of reaching download rates up to 21 Mbps. The router supports the latest IEEE802.11n and IEEE802.11b/g WLAN standards and provides wireless reception and transmission rates up to 150 Mbps. 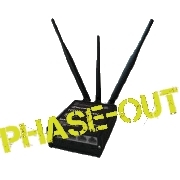 The router is configured for TIM telephone SIMs without a pincode. 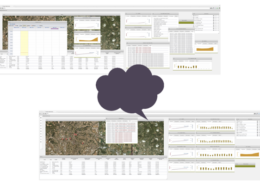 Configurable for WIND and VODAFONE providers. Use data SIM with “traffic” contracts. KNX cable 2 wires, 100mt. 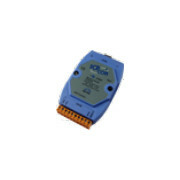 For RS232 / 485 converter connection (SIN.CONV232-485), GSM / GPRS modem (SIN.MODEMGPRS), datalogger & interface box FRONIUS (SIN.4240105). 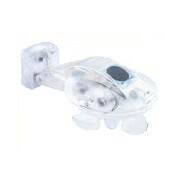 4-pole flying socket complete with UV-resistant cable, L = 10m. For SIN.PIRAIC / SIN.PIRAIIC instruments. Kit consisting of a bracket for fixing the SIN.PIRAIC pyranometers to a cylindrical support, complete with screws for leveling and fixing. Kit consisting of a bracket for fixing SIN.PIRAIIC pyranometers, support rod. 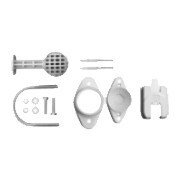 The kit includes fixing screws to the support and the protection screen. 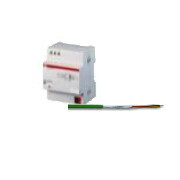 Extended supply range 10 – 30 V DC (0.05A @ 24VDC). Prepare the SIN.CP-D966116 power supply. Adapter to support KNX wiring cable compatible with eSolar COM1 connector. 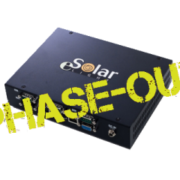 4 GB USB memory compatible with eSolar / eSolar LIGHT to support automated local backup of acquired data and machine configuration. 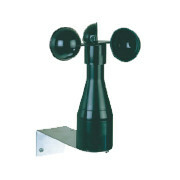 868 – 870 MHx radiomodem with integrated antenna. 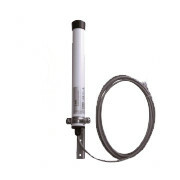 868MHz antenna for remote transmission of multi-point signals on RS485. Coverage up to tens of km (depending on the attenuation of the path and the gain of the antennas). 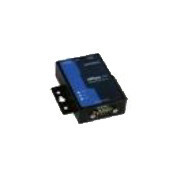 RS485 interface; 1.2 – 38.4 kbps data rate; Simplex Half – Duplex operating mode. Supplied configured for specific application (on request). Provide SIN.AL15W24VDC for power supply. Powerful 60 degree 2×2 MIMO sector antenna. 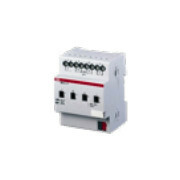 It can be used as AP, to realize point-to-point connections or as a CPE. Integrated 10/100 ethernet port. Working temperatures: -30 ° C / + 80 ° C. Dimensions: 140x140x56mm. 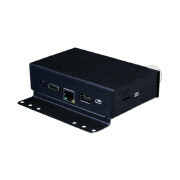 The box contains mounting accessories, PoE injector, power supply. 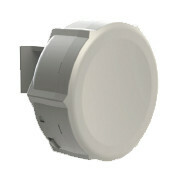 Powerful omnidirectional antenna, double polarization, with 400mW power, with POE output. 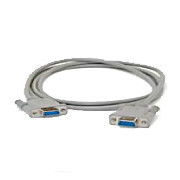 It can be used as AP, to make multipoint connections or as a CPE. Integrated 10/100 ethernet port. Working temperatures: -30° C / + 80° C. Dimensions: 140x140x56mm. Accessory for SIN.SXT5HPND and SIN.UAP5HND antennas installation. 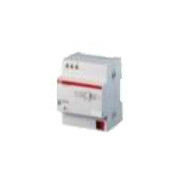 Network analyzer and MONODIRECTIONAL energy meter for single-phase, three-phase lines with balanced and unbalanced load. 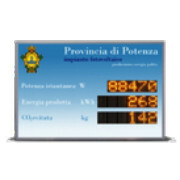 LCD display with 3 simultaneous readings, for displaying instantaneous quantities and energy produced. Measurements = W, Wmed, VAr, VA, Vamed, cos-fi, V, A, Hz, KWh tot. , KVArt tot., Partial KWh, Partial KWArh Autoloaded, inputs from TA 5 A and 400 Vca, RS485 serial output. 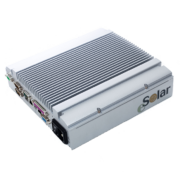 Compatible with ESOLAR / EQUOBOX system. Mounting from front panel (72x72mm) or 4 Din modules. Supplied with 3 CTs to be opened between 90/150 / 250A. On request TA can be opened to measure (SIN.EM21). 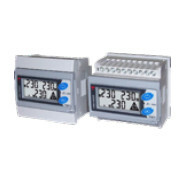 BIDIRECTIONAL three-phase energy analyzer with programming joystick and LCD display for data visualization. 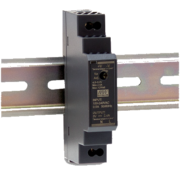 DIN rail mounting housing, degree of protection (front) IP 50. 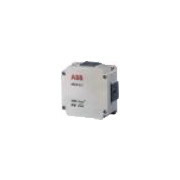 Insertion by external and direct current and voltage transformers up to 65A. Integrated RS485 serial port. Compatible with ESOLAR.